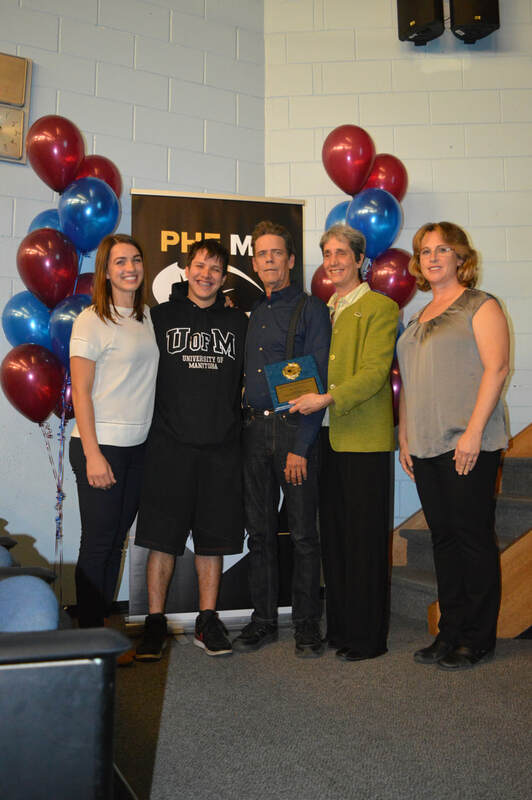 Each year, PHE Manitoba presents a number of awards to recognize outstanding contributions to physical and health education in the province of Manitoba. PHE Manitoba believes it is a priority to recognize excellence in the field by honouring these distinguished individuals and organizations for their significant achievements in the previous school year. Descriptions of each award can be found below. Please click on the award name to get the nomination form. This award recognizes a teacher for their work in providing outstanding health classes or programs in the early, middle, or senior years. Awarded to groups, companies, associations which promote the significance and importance of physical and/or health education programs in Manitoba schools. For outstanding dedication and promotion of physical education for the Youth of Manitoba. This award is presented to individuals who provided leadership in their region by hosting workshops or area tournaments, developing outstanding programs, contributing to the community, etc. ​PHE Canada's Dr. Andy Anderson Young Professional Award is a yearly award presented to one professional per provincial association that best epitomizes exemplary work on behalf of the physical and health education profession. Selection of the award recipient is made by the provincial association. Manitoba. Each year the PHE Manitoba Award is presented to 3 outstanding physical educators; one in Early Years, one in Middle Years and one in Senior Years. This award is presented to an urban and a rural school with an exemplary outdoor education program. This award is presented to a member of PHE Manitoba who has made a significant contribution to physical/health education by devising an innovative approach to instruction, by writing new curriculum material, by creating new devices or aids that improve the educational experience of students. This award is presented to an individual for their professional contribution in the promotion of outdoor education.